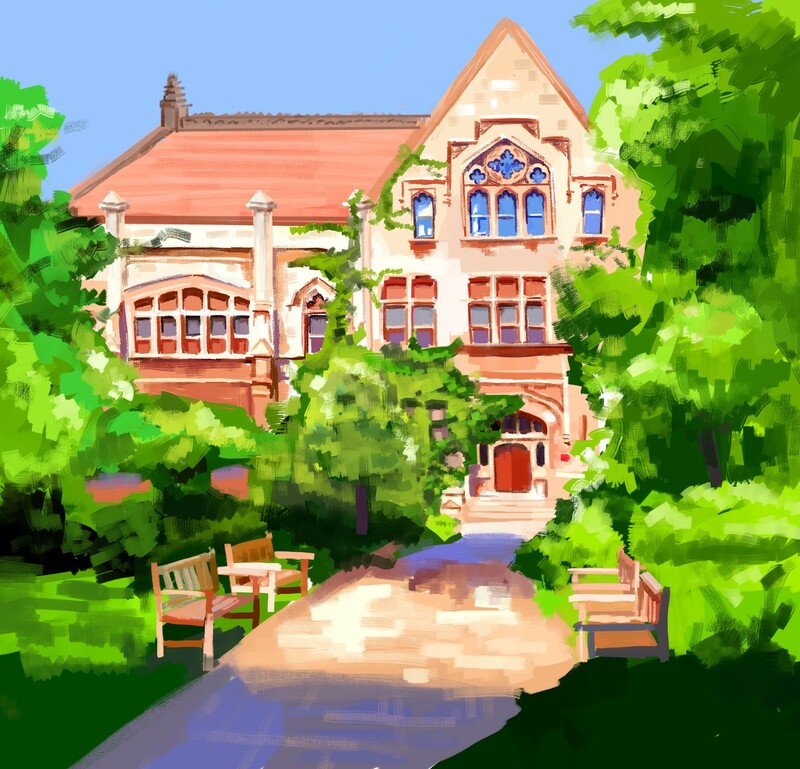 An illustration series meant to convey the potentiality, hope, and realism that comes with the undergraduate experience. 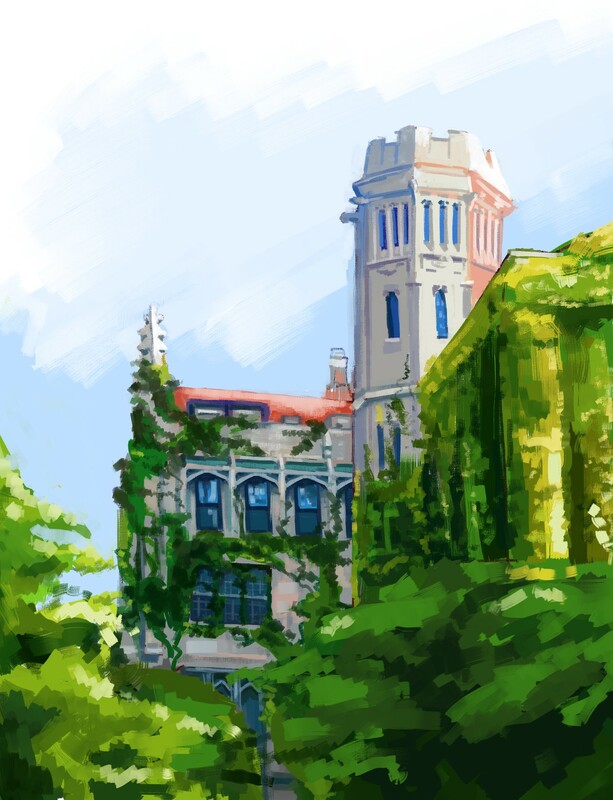 In this illustration series, I sketched out different scenes based on photographs I took after I was accepted to the University of Chicago. After nearly two years, I decided to return to these photos because I wanted to re-orient myself to the feeling I had when I first visited campus. I wanted to connect that initial, naive idealism with something more grounded in actual experiences. It took some time for me to realize that what I felt two springs ago was not a realistic feeling, and I know there is an extent to which I can romanticize the experience. 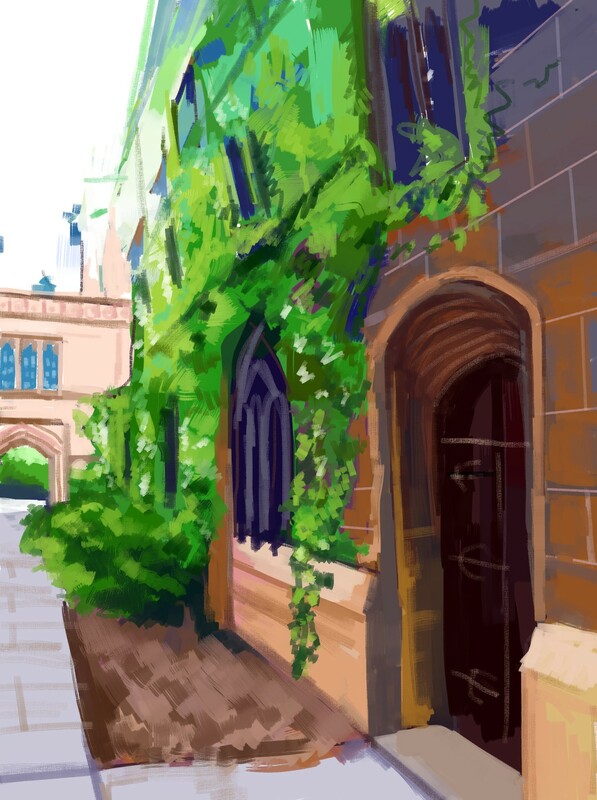 However, these illustrations capture moments when I was particularly struck by the beauty of campus; whether it’s the green that peeks out of the snow-covered grounds after a dreary winter, or the “out-of-the-way” corridor between the main quad and Reynolds Club. 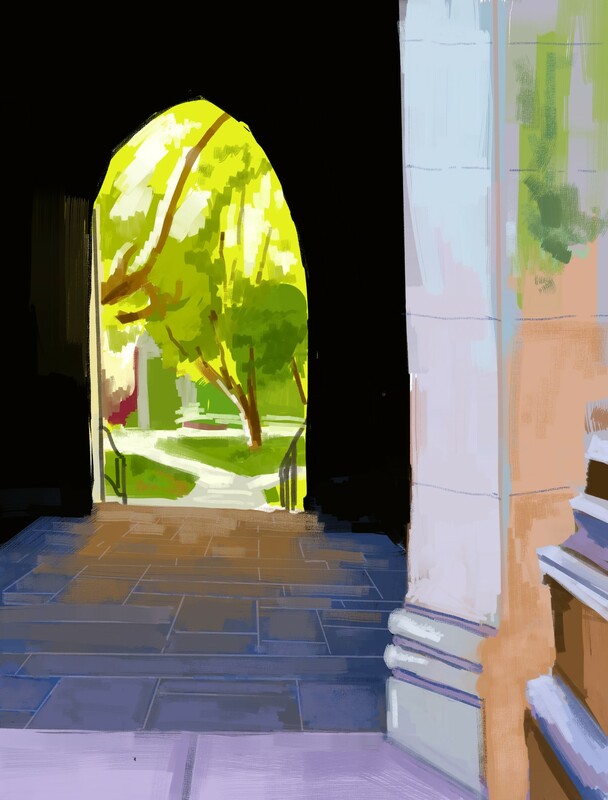 Through this particular color scheme and by employing an impressionistic and undetailed style, I wanted to bring forth the almost dreamy and imprecise feeling I now associate with that visit. 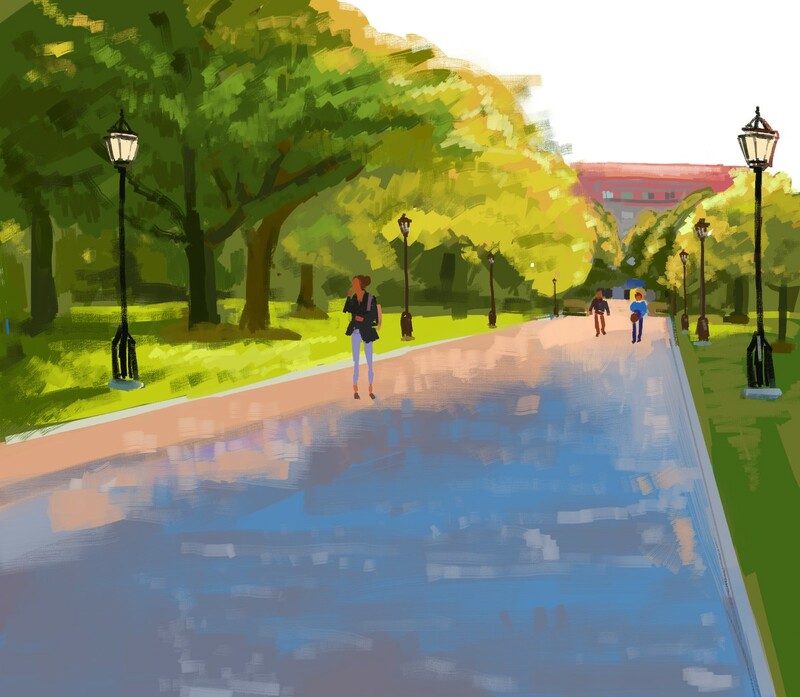 These illustrations are my attempt to convey the potentiality, hope, and realism that comes with the undergraduate experience — emotions that I remember and relive every year.